Ceramic coating is a clear coat which includes a liquid polymer, when applied on your car a chemical bonding is established with the factory paint. If applied properly it can last lifetime. 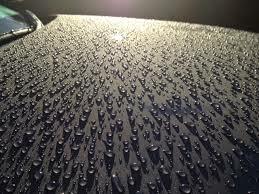 The nano-coating can protect the car from most scratches, dirt and chemical contaminants. Ceramic coating also doesn’t have any side-effects to the original paint. This protection is not only easy to clean but also can withstand heavy shocks and vibrations. The ceramic coat will not allow dust particles to sit on the surface and a simple wipe can clear if any dust deposited. Even though the ceramic coating is a bit costly, the long lifetime of it will make it cost-effective and better than the wax coating which will not last long. Ceramic coating will also protect your car from UV rays damage and oxidation. In addition to this the ceramic coat is water phobic , which means, it will not allow water to be stagnant on the surface of the car. The scratch-resistance of a Ceramic Coating is often exaggerated. 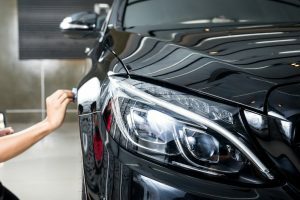 Though some small scratches can be repelled by a Ceramic Coating, a coated vehicle will not be completely resistant to the risk of rock chips or parking lot scratches. Moreover, improper car washing techniques or automated car washes will still create swirl marks on your vehicle’s surface. It is important to know that a Ceramic Coating is not a substitute for more serious scratch or chip, nor does it eliminate the need to wash your car in a proper manner in order to avoid swirl marks.